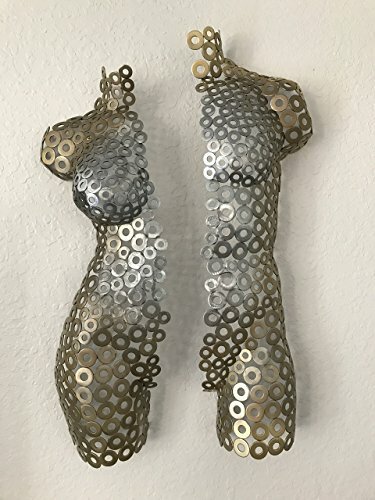 "Lovers III" This beautiful set of male and female Is created by forming and welding, grinding, brushing, painting and sealing with a clear automotive paint. resulting in an art piece that has a timeless quality and the ability to enhance any decor. This set comes ready to hang and would look great in your home!! 30" X 30" X 7" as shown The male is Approx. 32" Tall by 12" wide and 6" deep the female is aprox. 28" tall by 10" wide by 6" deep. Brand: Only Art Studio, Inc. If you have any questions about this product by Only Art Studio, Inc., contact us by completing and submitting the form below. If you are looking for a specif part number, please include it with your message.